Which Is The Best Waterproof Floor Type For Your Bathroom? Choosing a floor type for your home may be a challenge. This is mainly because there are different types of quality flooring options. The tricky part, however, is choosing a floor type for your bathroom. The bathroom is one of the most-visited rooms in any home. Unlike the other rooms, the flooring frequently comes into contact with water. 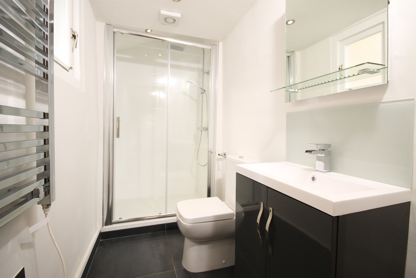 If you don’t choose the right floor, your bathroom may always be wet, slippery or waterlogged. There is a lot of water in the bathroom. It is, therefore, advisable to consider waterproof flooring options. There are different types of floors that are waterproof. They include ceramic tiles, hardwood floors, laminate, solid wood, and vinyl floors. Here are some of the factors that may help you settle on the best waterproof floor. The durability of the floor should be a key factor. Which material is the floor made of? Is the material durable? The durability of flooring materials varies. Although some of these materials have a longer lifespan than others, the durability also depends on the level of maintenance. Choose a floor you can easily maintain. Some of the flooring options on the market are durable and stylish. However, the floor may be very expensive to maintain. The least expensive floors to maintain are vinyl wood floors as you can do it on your own. For tile floors, you may need special equipment and a specialist to clean and maintain it. Do you have a floor budget? How large is your bathroom? Choose a waterproof floor that is within your budget. Some of the floor options are unreasonably expensive. Among the affordable flooring options are hardwood, solid wood, laminate, and vinyl floors. Homeowners invest a lot in remodelling their bathrooms. Today’s bathrooms are more than bathing rooms. The room should look clean, stylish and unique. This can be achieved by installing the best flooring options and shower enclosures. A few years ago, ceramic tiles were the only floors with a wide variety of styles and designs. Today, we have stylish engineered wood floors, vinyl laminate floors, and stone floors, all in different styles, sizes, and shapes. You can find a perfect floor style and design for your bathroom. From the ideas above, it’s evident that you can find a waterproof floor at an affordable price. Floor options such as hardwood and solid wood have a veneer layer that is water resistant. Remodel your bathroom with a durable, dustproof and stylish floor by comparing several flooring options. You can read reviews or ask friends about the best bathroom flooring options. If you are in the UK, you can look for the best suppliers in your area. The accepted state of affairs when you’re involved in a legal dispute is that the whole event will range for months, drain you of money and energy, and cause untold stress to your overall wellbeing. Whether you stand accused or you are bringing a suit against someone, the overall impact is one of pressure. Sometimes, this stress can put people off from every launching into a legal dispute, but this need not be the case. Here are some tips that’ll help you watch pleasantly from the sidelines with the confidence that comes from understanding the rules of the game. Whatever your position is in a lawsuit, losing your cool is something you should avoid at all costs, especially if this happens in front of a judge, a jury, or the opposition’s legal team. Getting agitated is often read as a sign of weakness or culpability and will be used as such, so finding some ways to keep yourself relaxed, displaying confidence and self-assuredness, will be of aid to your lawyers and a boon to your opposite numbers. There can be nothing more dispiriting than running out of capital when it comes to fighting a legal dispute. 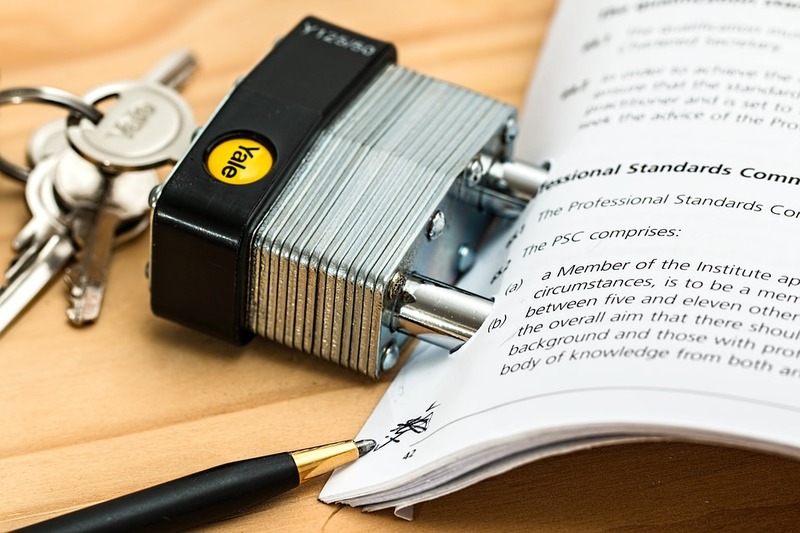 While lawyers are trustworthy and will keep you in the loop with regards to costs, there are unforeseeable eventualities that take place in court that can throw a curveball into proceedings, requiring a little extra money to take you over the line. Plan your challenge or defense with a flexible kitty of cash in mind so that you can adapt to these changes stress-free. As well as your own legal team, there are plenty of free options to turn to for preliminary legal advice. These websites will save you time and money by framing your particular problem for you. Above these channels of advice, you’ll want to talk to your lawyers, but there are other services that’ll lend a much-needed helping hand if legal action follows, such as an e-discovery service that extracts all relevant data from your computers, allowing for maximal evidence to be utilised by your lawyers. Lawyers commonly joke and begrudge behind the scenes about their clients’ blind devotion to a legal dispute despite all recommendations to the contrary. This is usually because either emotions or the ego have become involved and what was once a rational and logical debate over payouts or guilt has become driven by irrationality. Always listen carefully to the advice of lawyers and check your ego’s influence; some lawsuits, of course, feel deeply personal (divorce disputes among them) but you’ll do yourself a favor in the long-run if you act on advice to drop your battle, taking a humble hit on your pride in the process. Awash with tricky terminology, chess-like tactics and often impenetrable jargon, legal disputes can feel like spiraling balls of incomprehensible stress. Remaining on top of things by bearing in mind the above tips will help ensure that you’re not caught up in that whirlwind, leaving you in a position to sit back and let the professionals do their job. Throughout human history, games have been played face-to-face. Tension, the joys of winning and the crushing melancholy of defeat were all experienced people in the same vicinity, and there was no escaping it. If you wanted to play, you literally had to have your game face on. In no other gaming genre was this more true than in strategy games. Instead of basing moves and the ultimate result on luck or a roll of the dice, strategy games are determined by each individual players’ choices and skill. To win, you must come to the table equipped with tactics, a solid knowledge of the game you’re about to play and the patience to see each session through until the end. Some of the world’s oldest games are strategy based, whether they be board-based like chess or card games like poker. So, it was no surprise that when the internet came along they transitioned almost seamlessly into the online space. Now, you can play chess with people around the world, battle others on video games, while poker rooms and online casinos continue to thrive. But is playing strategy games online better than playing than in real life? We think so, and here’s why. 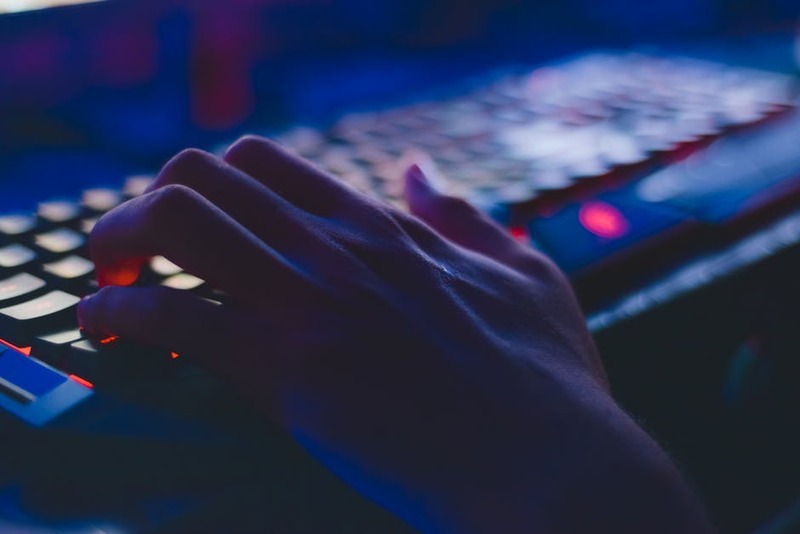 Source: Pexels – To access millions of online games, all you need is an internet connection. Out there in the real world, organizing a strategy game is quite the Endeavour. First of all, you have to find a game, then a place to play and of course people to play with. In the online world there’s no need to do that, as everything you could ever need is just a Google search away. No matter what genre of strategy game you fancy playing, chances are you can find it on your PC, tablet, console or even your smartphone. Fancy playing an MMORPG? Settle down for the evening with March of Empires or get on Overwatch. How about trying your hand at Texas Hold’Em or blackjack? There are literally thousands of games going on right now that you can join. Then, once you’re ready to play you can join others who are already online around the world or invite friends to come play with you. Really, one of the best things that the internet has brought us is the ability to connect with anyone, anytime – and this is a great benefit for anyone who loves strategy games. In addition to being more accessible than live games, online games are incredibly varied and diverse. While specific brands may not be available on every platform, chances are you can find some variation of your favorite board or video game on the internet or as an app. You never know you may even find something you prefer. Even games that really don’t require a lot of equipment and can more easily be played in real life have evolved in the online world. Take card games such as poker for example. While you may only need a pack of cards and some chips to get started with your own live game, chances are you still won’t get the variety available online due to the skills, experience or knowledge limits from your fellow players. Meanwhile, at gaming operators like 888poker there’s Texas Hold’em, Omaha hi/lo, 7 Card Stud, SNAP and even live streamed webcam poker games that you can play at any time with players that have mutual skills. 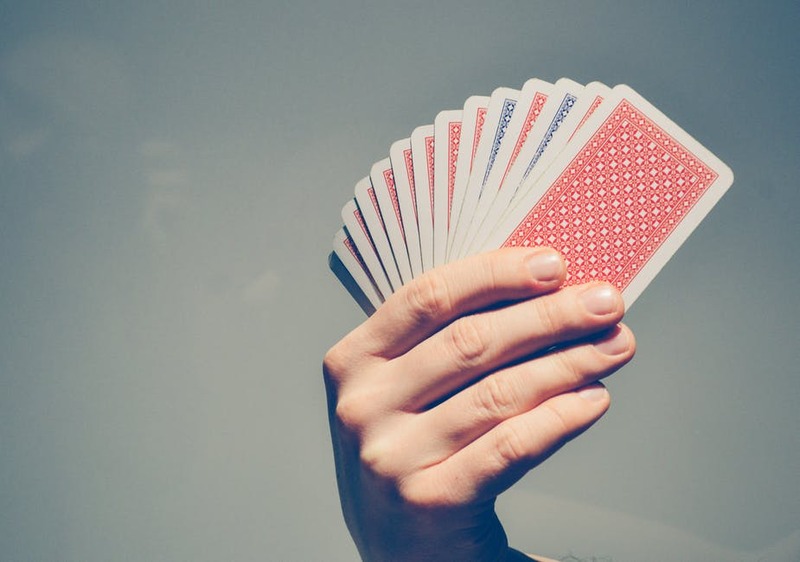 Source: Pexels – By playing through a screen, the ability to call your bluff is removed entirely. 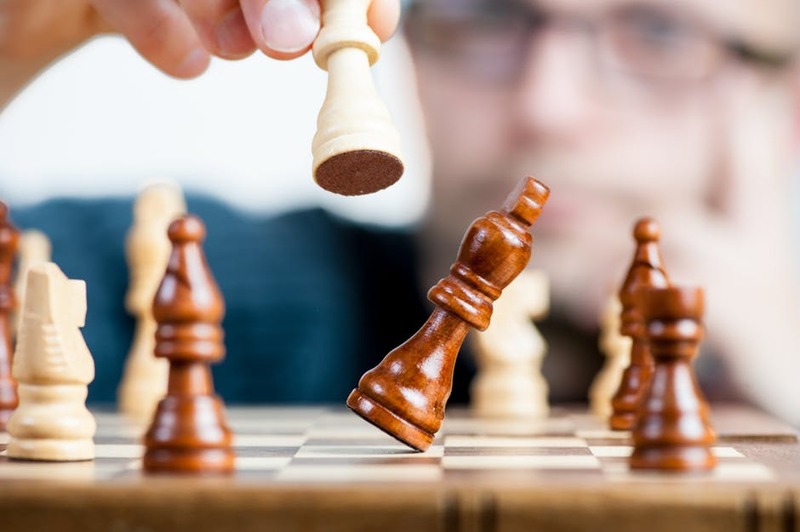 During real-life gameplay, it is incredibly easy to tell whether your competitors are doing well for themselves or when they are heading down a slippery slope. This, of course, is also true for you and chances are you’ve been sending signals giving away your game throughout most of your live gaming sessions. It’s human, it’s just something we all do, but it can really affect the outcome of the game entirely. Fortunately for online players, this isn’t a problem, unless of course you shout about how your game is going over the microphone. This is why games that require some secrecy and discreetness like turn-based games are best online – there’s no way for opponents to garner information from your physical tells or psych you out because they can’t see you. Now, you may think that this also removes the conversational aspect that is crucial to games such as first-person shooters and even poker variants like Texas Hold’em, but most developers have already set chat boxes and other conversation tools in place to fill this gap. That means that you get to socialize without compromising your game. When it comes to games where money is involved such as blackjack, poker or maybe really intense sessions of Settlers of Catan, playing online is a huge advantage for you and for your wallet. When playing live, there’s often a real sense of false bravado and competition involved – that is, if someone starts raising the stakes a little, you may feel obligated to the same. After all, if you don’t then you’ll probably be kicked out of the game entirely. However, online money games often have preset wager amounts. This is most noticeable in online casino games, where players can usually open for 2x, 2.5x or 3x the big blind, a modest amount considering that ensures the high rollers can’t push other players to bet more than they can afford. Combine that with the inability for others to psych you out or make you feel less than if you decide to bow out and you’ll find yourself having a much more enjoyable game. Much like the online wagering system allows players to have more reasonable monetary controls, online games also promote more reasonable pacing. However, whether this is a benefit of online games depends on the specific game as well as you as an individual. If you enjoy fast play then you will no doubt enjoy many of the MMO and online FPS titles out there, as players have to be on their toes to keep up. The same is true of iGaming releases, especially card games such as baccarat and poker where players have a set amount of time to deal with their turns. In the case of poker, specifically, certain operators have focused on bringing fast-fold variants such as SNAP to their sites, to allow for ever greater speed. Live games, on the other hand, are probably preferable for anyone who enjoys a slower pace and doesn’t find waiting around for others tedious. If you need more time to think and experience the game, you can stick with real-life games, otherwise it’s time to get online for the real fast-paced stuff. There’s no doubting the appeal of strategy games, whether they’re online or offline. They offer incredible social, interactive and engaging experiences for players of all kinds, allowing players to find entertainment while also being thought-provoking. For anyone who plays strategy games often, there’s no doubt that they will find themselves applying skills they have developed in-game to their lives overall. Still, we stand by the idea that live games have less to offer than online experiences when compared. As we’ve found, online strategy games are far more accessible and there’s more variety, plus limitations are removed such as physical tells, wagering woes and pacing issues. Do you prefer playing online or playing strategy games in real life? Do you dabble in a bit of both? Let us know in the comments below. If you want to look after your teeth, you need to brush twice daily and floss. You may be doing this already but have you thought about what else you are putting in your mouth that could damage or promote healthy teeth? Here are a few of the best foods to eat if you want to have strong, healthy teeth. Yoghurt is full of both calcium and protein, both of which are essential for strong, healthy teeth and bones. Yoghurts are also full of good bacteria, which are not only good for your guts, but for your gums too! The good bacteria help to fill the space in which bad bacteria would live. Of course, yoghurt can be full of sugar, which would negate these great benefits, therefore, choose a sugar-free or no added sugar yoghurt. An apple a day keeps the doctor away, and the dentist too! The action of chewing and swallowing an apple producing a lot more saliva than usual in your mouth, almost like brushing your teeth. This helps rinse away any food bits or bacteria that are currently in your mouth. The texture of apples also stimulates your gums. It is great to eat at the end of a meal if you want to have a nice, clean mouth afterwards when you cannot brush your teeth, perhaps for lunch at work. All you cheese lovers out there, never cut cheese out of your diet! Cheese also contains calcium and protein and is one of the best foods for your teeth and bones, another reason to enjoy that cheese board even more! Cheese can raise the pH level inside your mouth, which in turn will help kill bad bacteria. It also leads to less chance of suffering from tooth decay. Get chewing on that cheese to increase the strength of your tooth enamel! If you are wanting a healthy snack, look no further than these nuts. Not only are they low in sugar and great for snacking on if you are trying to lose weight, they also contain calcium and protein! This is a food people would not usually associate with great teeth, but it is a fabulous source for both protein and calcium, so get snacking! For more information on looking after those teeth, check out Health Row. Although those little stringy bits on celery may get in-between your teeth, celery is a great way to get rid of food particles and bacteria, much like an apple. It is also a great source of vitamin C and A, two vitamins vital for healthy gums. Celery is also another great one for weight loss, just another reason to get chomping. There are other foods that are great for your teeth, therefore, getting them in your diet will ensure you have healthy, strong teeth and a big happy smile. We should have everything in moderation, so if you want to treat yourself to that chocolate bar, go ahead, just make sure you brush your teeth shortly afterwards! Credit scores tell a lot about your financial future. Keeping a good credit rating means that it will be easier for you to apply for loans and there are less charges when billings are sent to you. On the flip side, having a bad credit score will get you scrutinized by lending companies and financial institutions if you really can pay their dues. For instance, you want to invest in a sophisticated condominium unit. Most of the time, clients avail of bank loans in order to initially help them pay for the fees. However, these banks will charge them later on. One of the things that property sellers look at is your credit report. This contains your credit score taken from your transaction history, amount you owe, and credit history among others. What if you have a bad credit score? Is there a better way out? In the market today are credit repair companies that are present to assist people in troubleshooting their credit scores and making the necessary action from that point on. They work to coordinate with credit bureaus to avoid making the mistakes on your billing that may affect the scores. Here are some indications that you need to hire credit repair companies. When you experience financial hurdles especially on loans. Credit scores and loans are very much related to one another. It is important to select the right credit repair company that will attend to your financial woes. Hiring one needs some investments on your side, which means that you will have to pay them for their services. 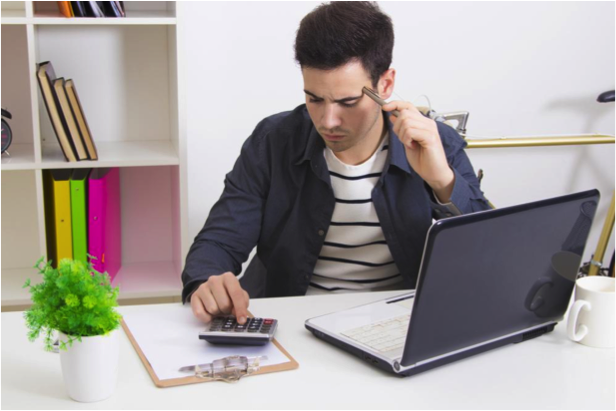 It is not advisable to spend and waste your money on a company that does not perform well considering that you have been currently stressed out of this bad credit issue. When you want to free yourself from the stress and responsibility of doing it on your own. It is always possible to fix your credit scores on your own. However, this takes a lot of patience and time on your end. You have to look for informative resources online like credit monitoring services that https://crediful.com offers, not to mention understanding some of the technical terms. Hiring a credit repair company will ease you out of this burden since they can take charge of handing your concerns. The best credit repair company entails some considerations and factors to think about on your end. Generally, they write “Letters of Deletion” sent out to credit bureaus in order to remove mistakes on the credit reports and billing. Here are some of the things to consider when hiring credit repair companies. When searching around for these services, make sure that the company you are eyeing has experienced staff members that have been in the business for several years. There have been several issues filed with them and they have handled these right, while learning from their past mistakes. There are instances when the best providers will also offer credit counseling and strategies on how you can build your credit scores. Avoid businesses that charge fees without actually rendering their services right. It is common for several service providers to describe their offerings as “100 percent guaranteed” along with the promise of giving the best results and fixing your financial problems. However, do not fall prey into these and it still pays off to personally coordinate with them before the actual hiring process. One of the best indications of a good credit repair company is the group that discloses your legal rights with you at the beginning of the deal. If you notice that they miss out on this stage, then it is time to take your next choice. Asking for money from you and sending these directly to them instead of bringing this payment to your creditors is considered a violation of statewide regulations. Because of the increasing need of the market to raise or improve their credit scores, a lot of companies claiming to help you across the process is springing up. Nowadays, there are groups that seem to offer credit repair but are actually scams. 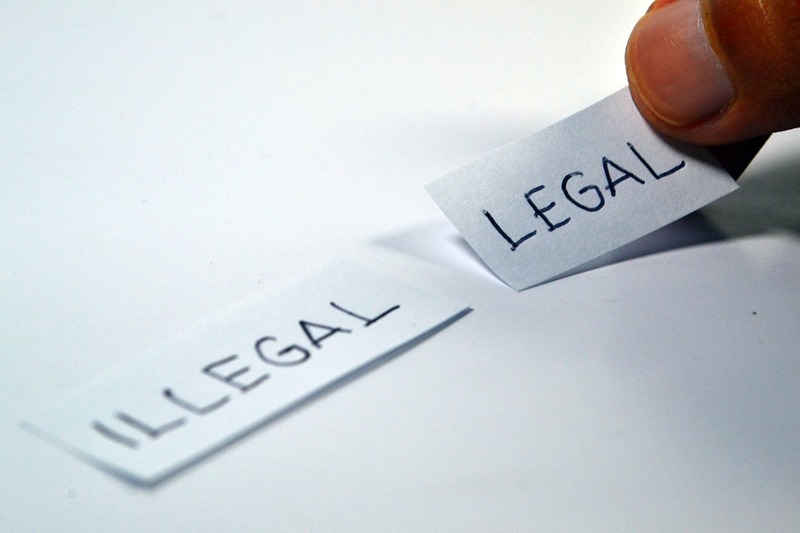 According to the law, credit repair organizations are only allowed to charge for their services after the duration in which they have been rendered. An upfront fee is indicative of a less reputable company. Some companies may tell you to repair credits through file segregation or creating a new credit identification. Any business that requires you to do so is considered a scam. Finding a good credit repair company is not a service rendered on a silver platter, since it also involves doing your own part. Before signing a deal with an organization, take the necessary – and helpful – step to check reports from BBB. This bureau records any complaints made against a company. This will continuously distinguish fraudulent businesses and will help you tick off those companies from your list, and only land on the most suitable ones. Credit repair is an essential part of making sure you maintain a high credit score, or if you want to work your way to one. Credit repair companies can be of great help in assessing the kind of strategies you could do to make proper adjustments to increase your finances, but you always have to consider the above before choosing the company you think is for you. Many parents struggle with not finding enough time to be with their kids. While it’s difficult when you’re busy, you have to stop using your schedule as an excuse. There are ways around it and useful ideas that will allow you to find a good balance. Your first step is to prioritize and move your child higher up on your list. Be honest with yourself and understand that you can’t do it all. You’re going to have to get organized and focus on what’s most important in your life. Give yourself some time to adjust and make modifications as you go. A great opportunity to strike up a conversation and get a little bit closer to your child is to drive them to and from school. Even if you sit in silence some days, at least they’ll know you care about and support them by offering to drive them around. Keep trying and come up with topics to discuss the night before. 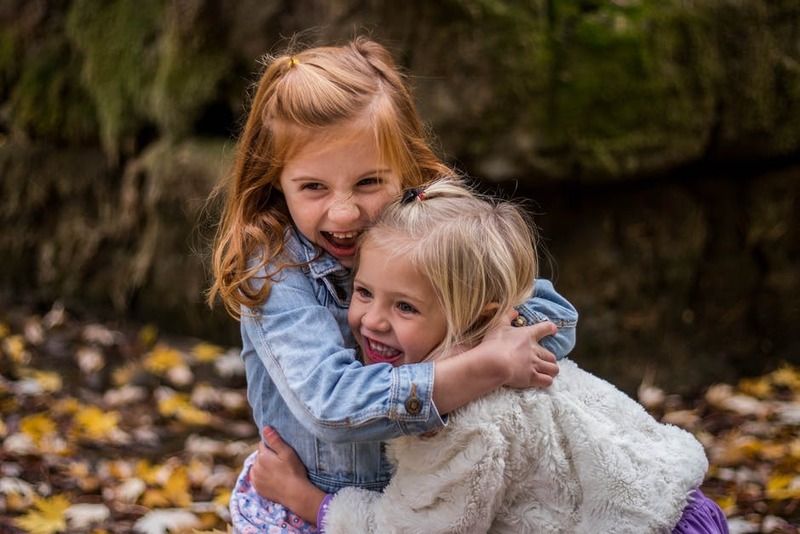 Eventually, you should be able to get through to your child and start to grow a stronger bond. Use your weekends wisely. Get your errands done, but also set aside quality time for your child. Ask them to hold a time slot for you and come to the table with ideas for what you two could do together. For example, fun attic has a lot of different game, activity and sporting ideas for you to choose from. If this is what they select then it’s a great excuse for getting the whole family involved. If not, another idea is to go see a movie or if within your budget take a weekend getaway or an overnight stay at a resort or hotel once in a while. Ask your kid to pitch in and help out with dinner. While they might groan at first, it’s possible they’ll begin to enjoy cooking and want to do more of it if you’re working as a team. Make it fun for your child by asking them to do some of the grocery shopping with you and to select the recipes. Cooking can be a very relaxing activity, and it’s also a chance to talk and get to know your child better. Recognize what their cooking strengths are and assign them tasks that complement what they’re good at. It’s unlikely that your child will turn down a trip to the mall on your dime. See if they want to go shopping with you to pick out new outfits for school. This will give you multiple opportunities to start up a conversation and dive deeper into certain subject matters. It’s possible you’ll have a lot of fun together, and you can go shopping more often as a way to spend quality time with your child. Learn ways to be frugal so you aren’t going over your budget. Time with your kid isn’t about checking off a box. 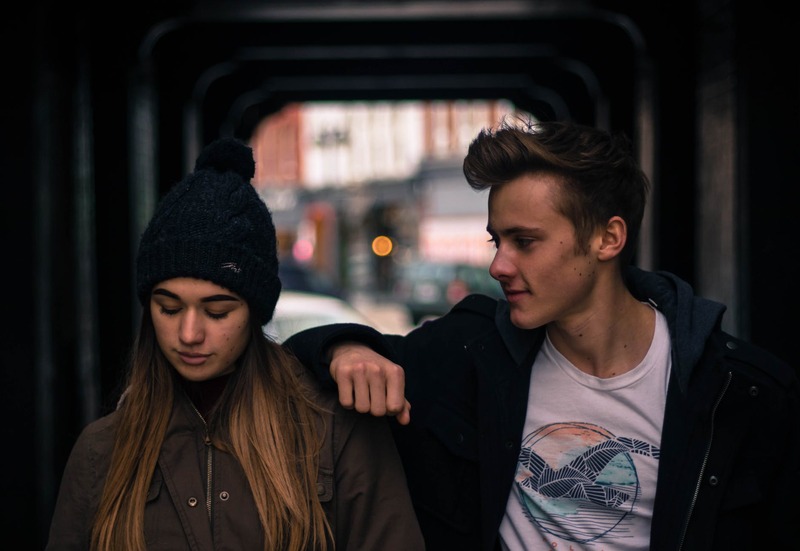 It should be quality moments that help you two better connect. Don’t worry if your child isn’t that receptive at first. Keep trying and go with what’s working, and you’ll soon recognize a breakthrough in their attitude and demeanor. Relocating to a new residence can be very tiring. Moving involves a lot of activities, from organizing and clearing your property to get ready for packing to loading and offloading. However, there are multiple advantages you can enjoy when you hire the services of a moving company. When you find the right moving company, you are assured of the best moving experience. Here are some reasons to hire a moving company. When you choose to move on your own, you will take a lot of time. Finding this time in your busy schedule can be difficult. You may not have enough time to pack your items. A moving company ensures that your items are packed and loaded on the truck in time. You want a smooth relocation experience. You can only avoid the loss of items, or damage, by packing your items in the right packing boxes. How will you determine the right moving boxes to buy or hire? Save yourself from this trouble by hiring a professional moving company. These companies have all types of packing materials. They also have skills in packing and labelling of items. Every item in your house is precious. You can’t afford to lose an item when relocating. By hiring professional moving services, you are guaranteed of no losses. Some house items like glasses are fragile and require professional handling. Cheltenham removals have the expertise and equipment to ensure that these items are delivered intact. Finding a place to keep your belongings during moving could be a challenge, especially when relocating from one city to another. Fortunately, professional moving companies offer storage services. Most of them have invested in modern facilities to ensure safe and secure storage services. You can avoid moving hassles by hiring a moving company. Professional movers assure an easy and stress-free relocation experience. The company will pack all your belongings, load the items on the truck, transport them, and then offload and unpack them. When hired, the company will take over the entire process. Most moving companies will include an insurance policy in their moving quote. This policy covers your belongings before, during and after transit. Why risk losing your items when you can be guaranteed of a perfect move by hiring professional moving services? There are different services you can hire from a moving company. You may choose to hire specific moving services and do the rest on your own. 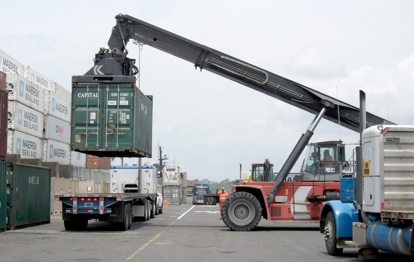 Self-moving services, for instance, eliminate packing, loading and offloading costs. These are some of the reasons why it’s advisable to hire moving services. Compare several companies before choosing the best. Among the things you need to consider are cost, location, and experience. It is recommended that you hire moving services several days before the moving date. The better company’s work environment, the more successful that company who usually become. This can be also said for any other type of organization including government offices, schools, and nonprofits as well. The reason for this is that each of these institutions involve people, and people are the same no matter where they work. So if you’re the company CEO or manager and can improve the work environment, there’s a great benefit go organization. What ways of operate in your business are there, that are both effective and Universal? Are the things that any organization can do? And doesn’t matter the size or location of the organization? The following tips and ideas can be effective no matter the style of your organization, how many people work for your organization, or whether your organization is located in Oregon or Miami. Everyone likes to receive an indication that they have done a great job, in the best way to do this is to provide some type of reward. There’s no specific way to implement this that is more successful than any other, what is important is that employees get recognized by you, when they do something valuable for the company. When you offer rewards they should be even handed and equal to the services is performed. You should also consider changing up the types of rewards that you offer so the employees are both excited to get the award, and excited by what the reward is. The reward itself doesn’t always have to be financial. In some cases recognition of a job well done is worth as much as money. And if you choose to offer something Financial, consider purchasing a gift card instead of actual cash. If you pick a gift card from a business that the employee frequents, it will be an even more personal acknowledgement of the employee’s good job. Some employees or very challenging. Some have personalities that are not warm and inviting. Some have mannerisms and ways of doing things that go against the grain. While others seem to cause problems on a regular basis. Because of this, you will need to discipline some employees. 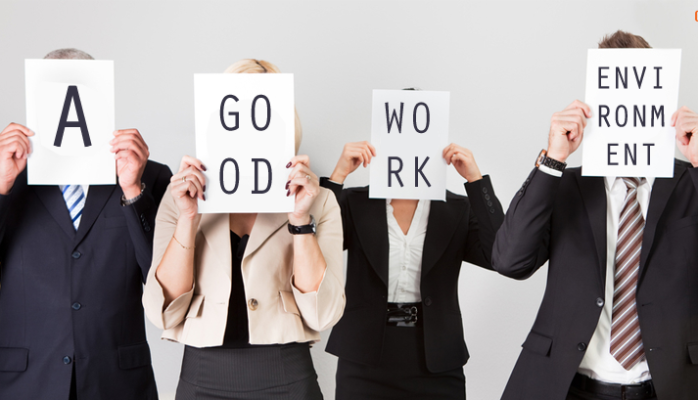 When these needs arise, you should always do it out of sight of other employees. Make it a habit to go back to your office, close the door, and have a frank discussion with the employee about his or her infraction. 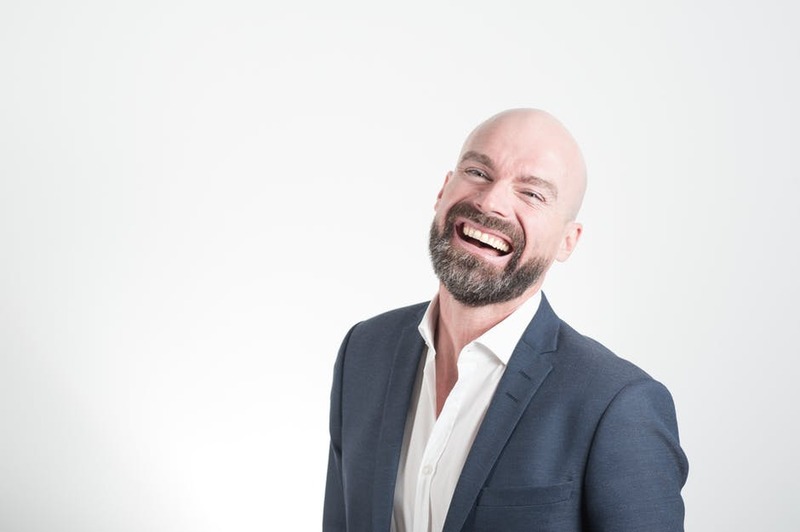 This avoids embarrassment for the employee and gives you the opportunity to make sure that the focus of the discussion is only on the infraction and not the employee’s embarrassment. Many managers find that they can never seem to get their employees to perform in the way that they would like. They might go through several employees doing the same job, but with the same poor results. When this happens, you should consider that perhaps the problem isn’t the employees, instead it is your instructions. Consider having someone else you trust that the company listen to the way that you give directions and provide oversight. Let them be honest with you about what they think of your style and the quality of the information that you were delivering. If they say to you that they are unclear about exactly what you want, you need to make adjustments. You should always assume that employees want to deliver to you what you need, but it is your job to make sure that they understand exactly what that is. Nowadays, shower enclosures and cabins come in a variety of sizes and shapes. So if you’re hoping to save money on a makeover for the bathroom, you surely have a lot of choices if you are looking for a shower enclosure upgrade. But this range of choices can make it even more difficult to make a decision, especially if you don’t know much about what the different types of showers can really offer. 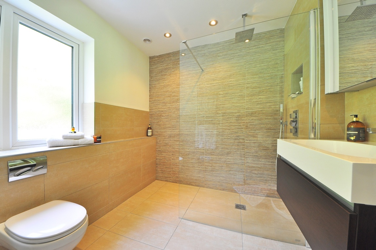 Are you planning to have a shower enclosure installed in your bathroom? Here are the top three aspects to think about. The number one aspect you should think about is the space. Your bathroom’s space considerations will affect whether you can get a regular or standard shower cabin, a walk-in shower enclosure, a shower/bath combination, or even a wet room. How much room do you have to work with? Think about the height as well. For example, if you want to install a shower in an awkward space such as a loft or a recess, it’s better to choose a smaller-sized shower enclosure with a folding or pivot door. Also, think about the kind of bathroom where the shower will be placed. Is it a master bathroom or a bathroom for the entire household? If it’s for a master suite, you can probably enhance it with certain features to help you relax, such as water jets. If it’s a shower for the entire household, you should consider the needs of all the members of the family. The position of the shower is the second aspect to consider – are you planning to place it in a corner, in another enclosed space, or in the middle of a wall? This will influence the kind of shape you can use, and the type of door that comes with the shower. A D-shaped shower is ideal when positioned in the middle of the wall, whilst quadrant-shaped shower enclosures are ideal for corners. Ideally, you should go for 4mm to 8mm thickened safety glass, which is strong and durable and less susceptible to breakage. Remember, however, that if you choose glass which is thicker, more support may be needed. The frame should also serve as ample protection for the glass since glass which isn’t framed can get broken or chipped. If you can, look for a shower cabin which comes with durable aluminium frames. There’s one more thing you should know: modular shower cabin units can provide you with the best shower experience of your life, and they already come with all the features and elements you may need. These units are often moulded using acrylic and come in different sizes, shapes, and even with extras such as adjustable hydro jets, seats, and even chromatherapy lighting. Your home should be a space that you take pride in. It should be somewhere that you go to whenever you want to escape the demands of daily life and take control of your stress levels. That is why it is so important that your property is free from clutter. Failing to achieve this will make it impossible for you to unlock the full potential of your home. Instead, you will constantly find yourself tripping up over rogue possessions, struggling to close your cupboard doors, and panicking at the very thought of unexpected visitors. If you are not yet happy with the state of your home, now is the time to take control! Below are four steps that will guide you through this process. Before you make any purchases, it is important that you get into the habit of writing lists. This is a fantastic opportunity for you to evaluate whether or not you really need to buy something. Instead of throwing everything into your shopping cart, a clear list will force you to hold yourself accountable. Planning ahead could even help you to save money on essential purchases such as your weekly shop. You can simply go online and explore frugal fabulous finds. The next step is to clean your home on a regular basis. 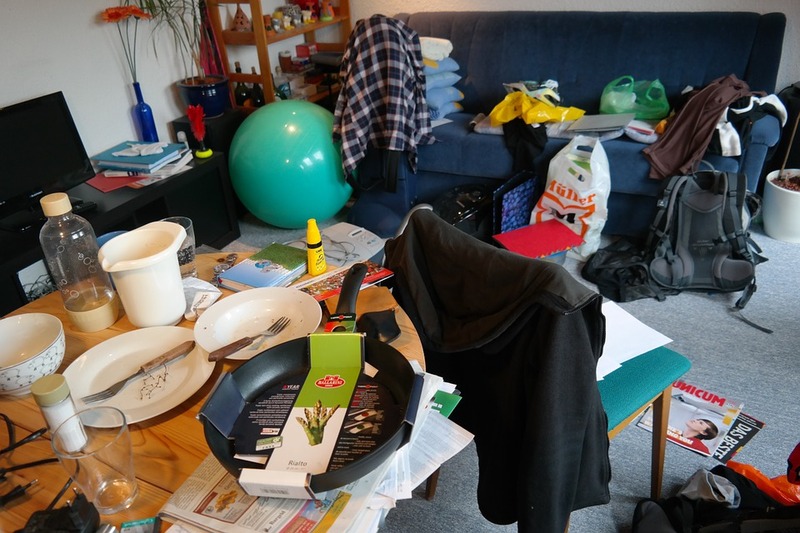 As you carry out this task, you will need to look out for areas that are especially hard to tidy. Perhaps you have a chest of drawers that is filled to bursting. Maybe you have a surface top that is completely covered with random bits and pieces. Whatever the case, it is vital that you resolve the situation and streamline your possessions. Once you have done this, you will find that it is much easier for you to maintain your property. If you are struggling with the idea of throwing your old possessions into the trash, you can get round this by holding a yard sale. This is a fantastic opportunity for you to provide your items with a new owner and a new home. It could even help you to bring in some extra cash. Or, you could enjoy a feel good moment and donate your earnings to a worthy cause. Just remember to do your research before you hold your sale. You need to make sure that you understand the true value of everything you are passing on. This will save you from losing money on underpriced items or driving people away with unrealistic expectations. Finally, you need to get your life in order. If you want to improve your happiness, getting your life in order is the best chance of ensuring your property never returns to a space of clutter and chaos. Why not invest in organization tools that will provide all of your possessions with a set place? You could also splash out on a handy label maker and plenty of storage boxes. Taking these steps will make it easier for you to find things when you are in a rush. It will also make it obvious the moment that your household starts to get out of control.